Welcome, everyone, to the Baby Valkyrie. 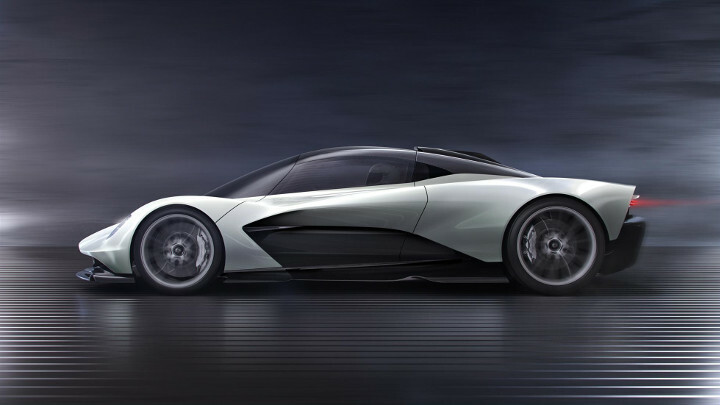 Aston’s AM-RB 003, making its debut at this week’s Geneva Motor Show, is the third mid-engined hypercar to emerge from the company’s tie-up with Red Bull Advanced Technologies. 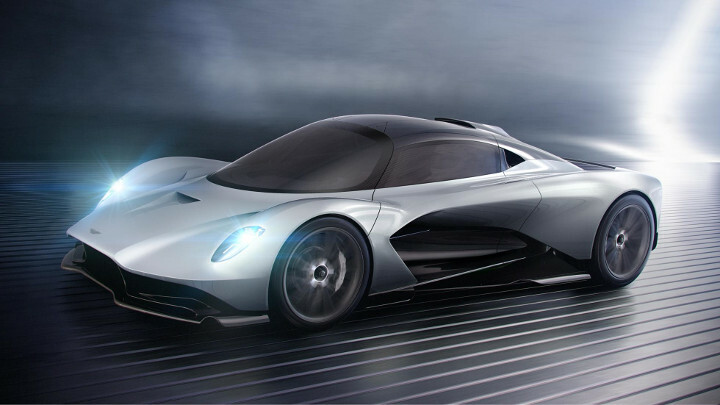 Which means like the Valkyrie and the Valkyrie AMR Pro (the other two, if you hadn’t guessed), it’s a very serious item indeed that borrows heavily from the world of Formula 1. First, the outside. 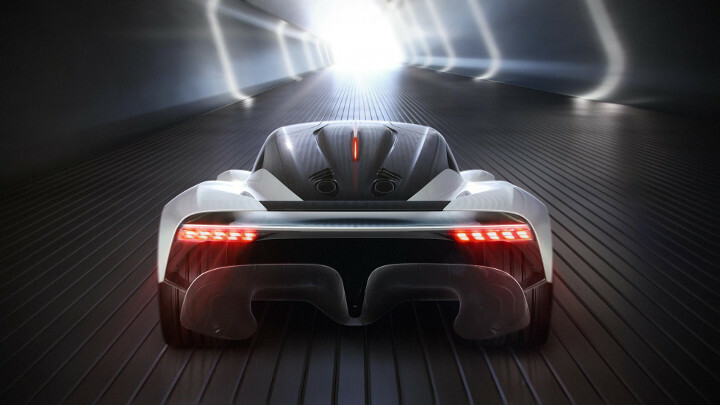 Like the Valkyrie there’s a pronounced, pouty front-lip that makes the 003 look like it’s posing for a selfie, and a massive rear diffuser that helps the underfloor generate the bulk of the car’s downforce. 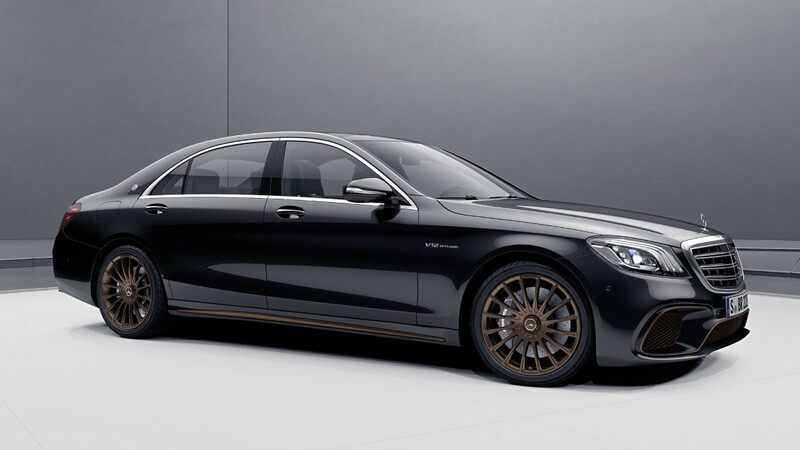 From the back, it’s very Mercedes-AMG One, no? Naturally, the body is carbon, and so’s the structure. 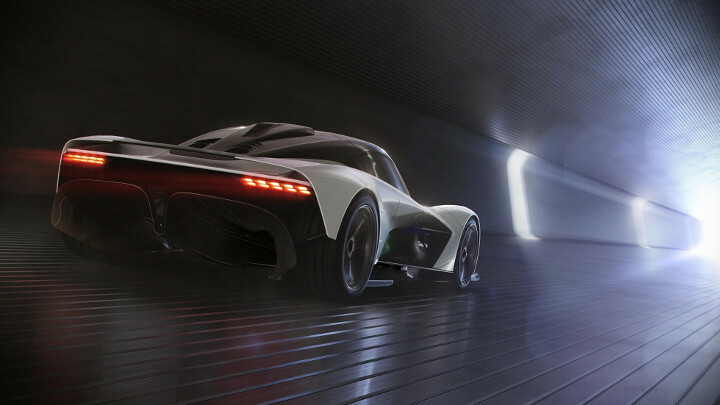 Active suspension and electronic systems “share a common philosophy with the Valkyrie,” but new for the 003 is something called Flexfoil—a technology developed for the aerospace industry that Aston says “allows for the car’s downforce to be changed without changing the physical angle of the entire [wing].” Hmm. 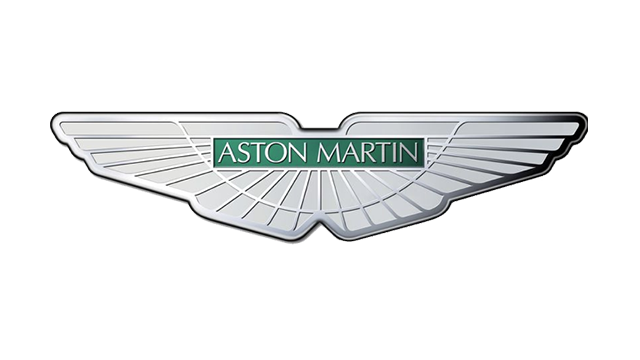 The engine is not the screaming Cosworth developed V12, but a new hybridized turbo V6 that Aston is developing in-house. 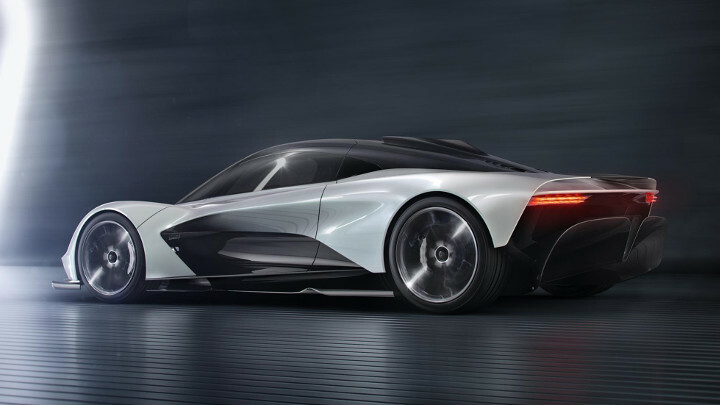 It’ll use the same Nexcel sealed oil system as the Vulcan, meaning you can change said oil in 90sec and even refine and reuse it. No performance figures at this point as the 003 is still a ways off. 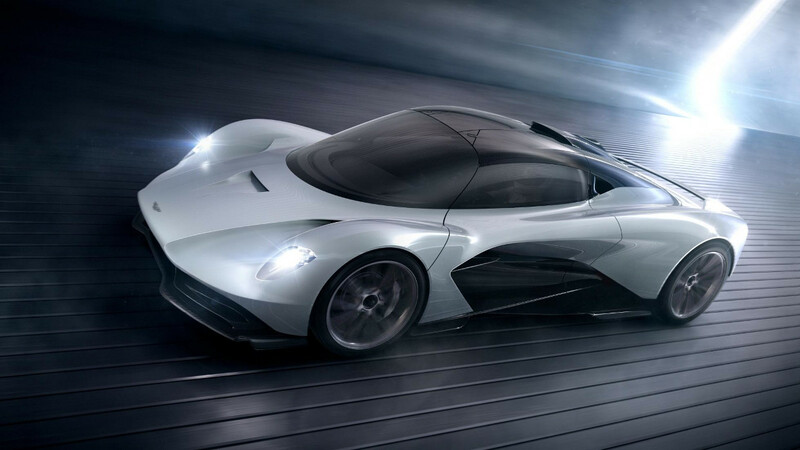 Aston doesn’t even have a running prototype of the Valkyrie yet, so be patient. Still quite bare, though. And tight. 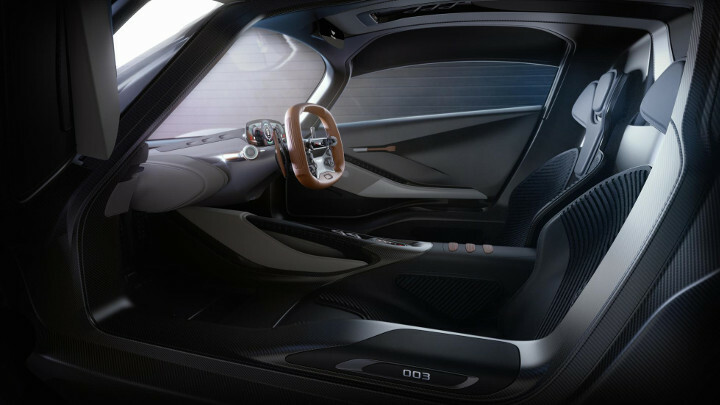 Infotainment owners will have to pair and mount their phones, while audio, aircon, and ambient lighting all emanate from a wraparound band at the base of the windscreen. 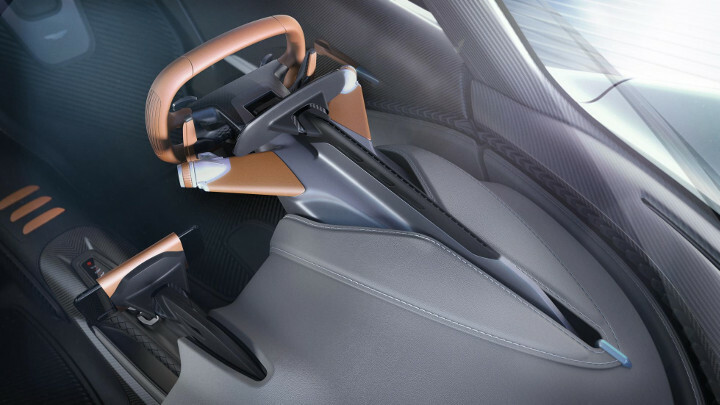 No separate vents or speakers. 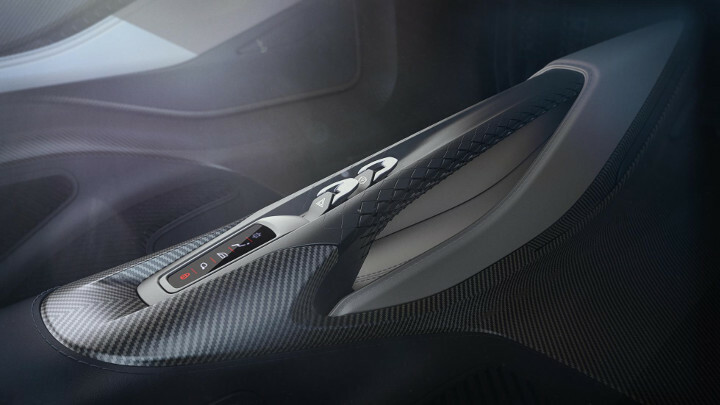 Five hundred 003s will be made—so while there will be loads more of these than there will be Valkyries, the odds of seeing one on the road are still slim to nonexistent. 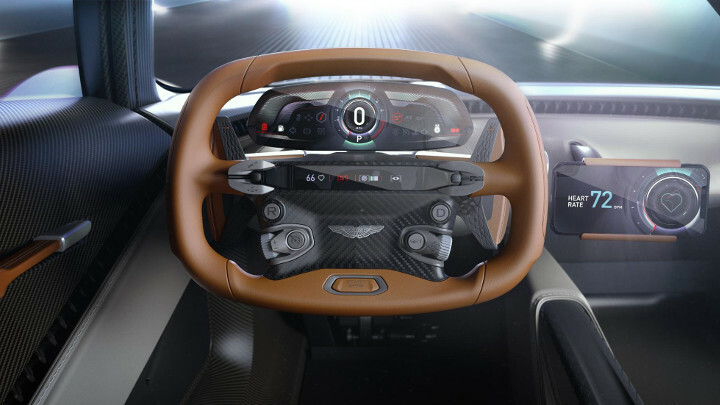 But Andy Palmer, Aston Martin’s CEO, promises the 003 will inform the design and development of the company’s “first series production mid-engined supercar.” That’s called the Vanquish, and you can read about it right here.